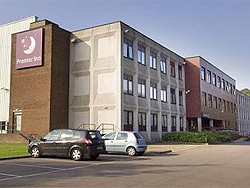 The Premier Inn Cardiff Roath is situated next to the David Lloyd Leisure Club, just off the A48 (Eastern Avenue). Whilst staying at this hotel guests are able to take advantage of the day membership at the David Lloyd Leisure Club. Day membership costs £7 and entitles the guest to use the following facilities: indoor and outdoor swimming pools, sauna, steam room, whirlpool, tennis, badminton, squash, gymnasium and aerobics studio. This hotel also offers free on-site parking for guests. David Lloyd Leisure Club next door. Good value accommodation near to Cardiff city centre (10 minutes by bus or car).